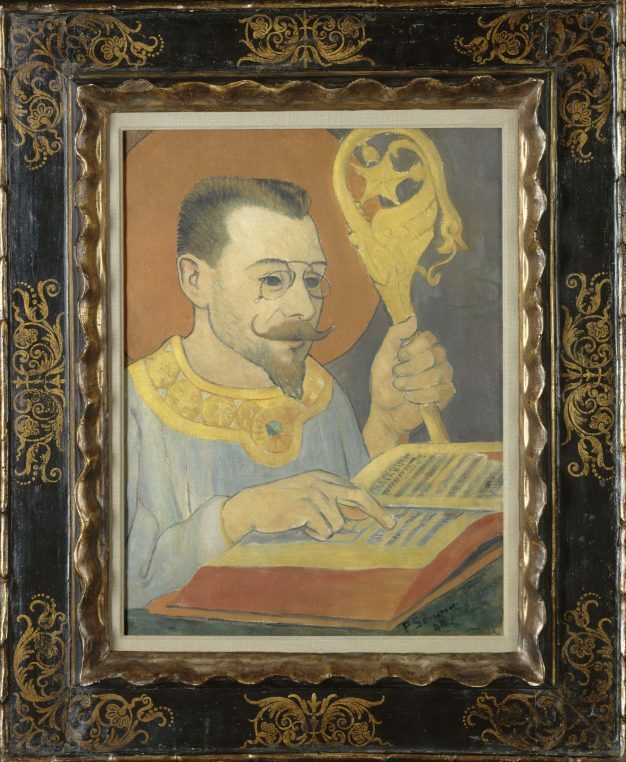 With a small painting called “Le Talisman”, made in the open air in Pont Aven in 1888, Paul Sérusier immediately became the founder of the Nabis (prophet in Hebrew) movement. A disciple of Gauguin, he brought with his abstract painting, a new influence to the young painters of Académie Julian in Paris. This Talisman will later belong to Maurice Denis, who made sure to keep it as a treasure. 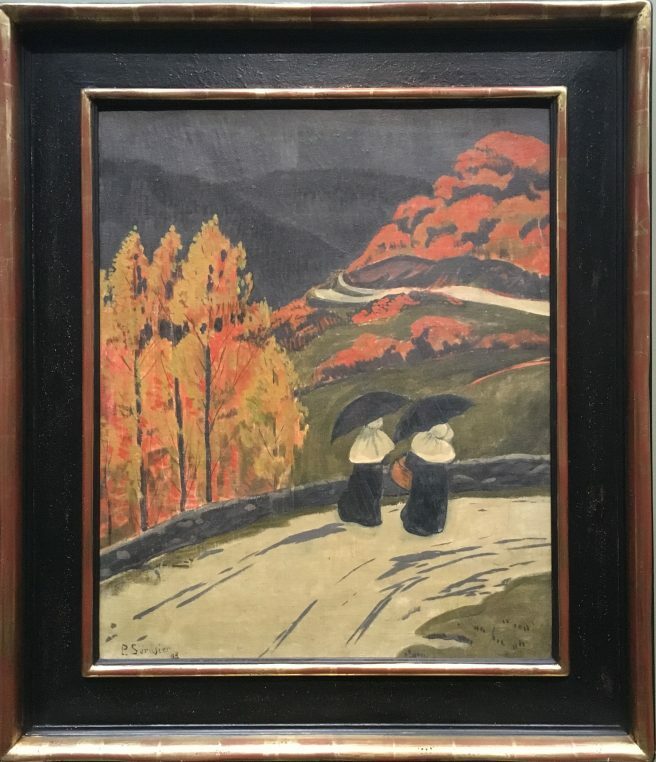 A beautiful exhibition at Musée d’Orsay “Le Talisman”, tells the story of this group of adventurous young painters from the turn of the 20 th century. 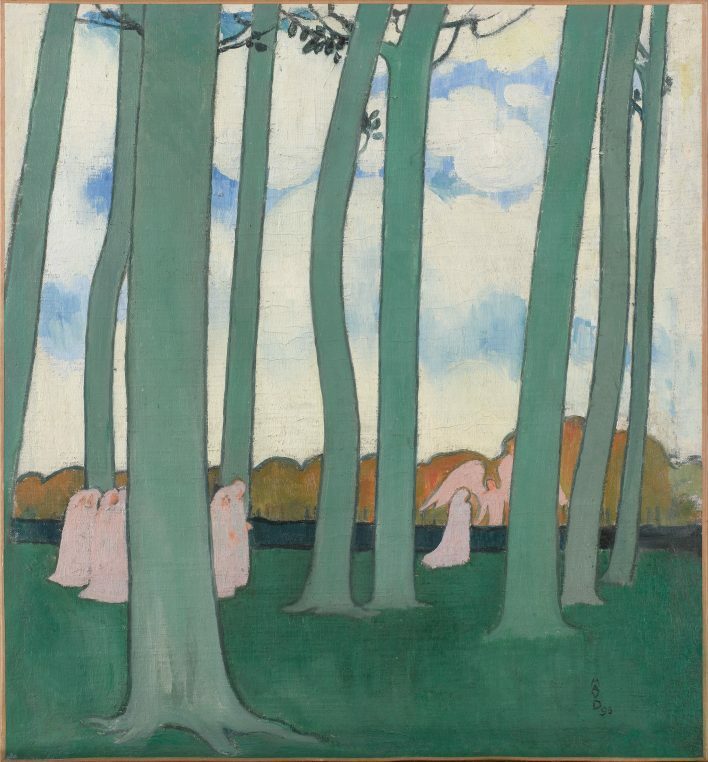 When Paul Gauguin and Emile Bernard spent the summer 1888 in Pont Aven (in Southern Brittany), they worked on new methods of applying color, the simplification of shapes, a dark separation to limit the masses. 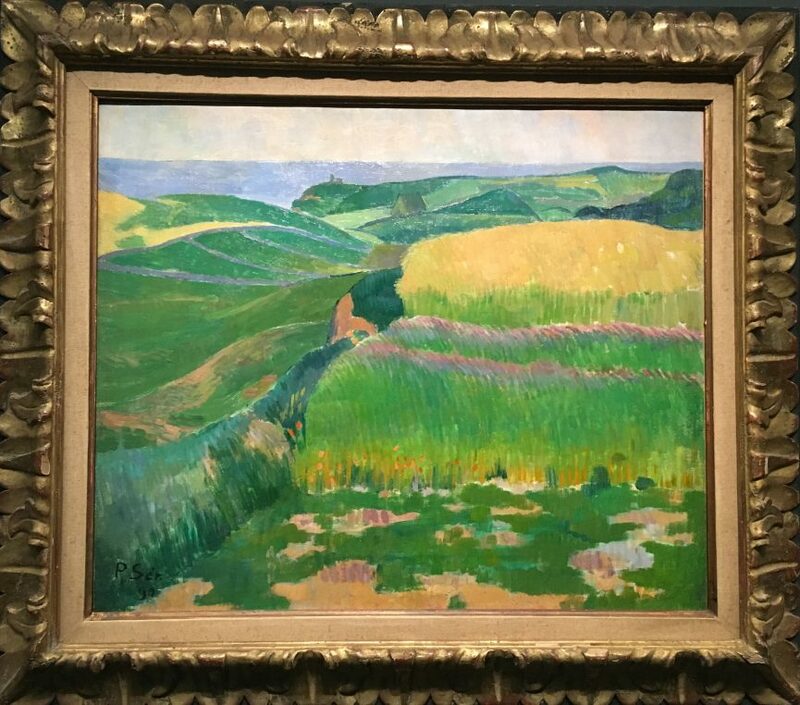 The first members of the Nabis movement are Maurice Denis, Ranson, Piot, Ibels and Bonnard who will be followed by Vuillard, Roussel, Vallotton and more. 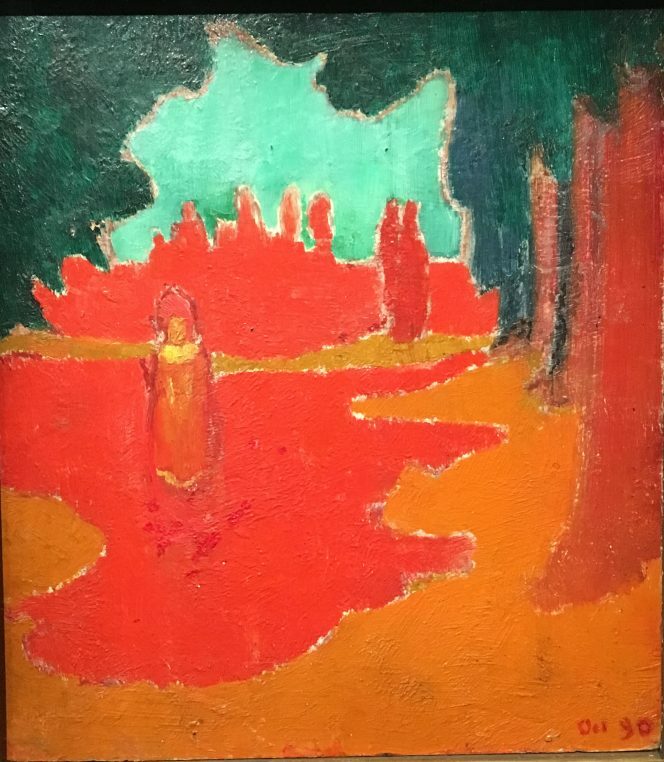 The themes treated by the Nabis can be esoteric or religious, describe countrysides, but their common feature is the use of bright colors and a great freedom in the composition. The exhibition on the first floor of Musée d’Orsay hangs in six small rooms and allows the visitor to see the works from close up. It mixes pantings by different Nabis artists and George Lacombe’s “Marine Bleue, effets de vagues” makes a strong contrast to Paul Sérusier’s studies for color like “Trétraèdres”. 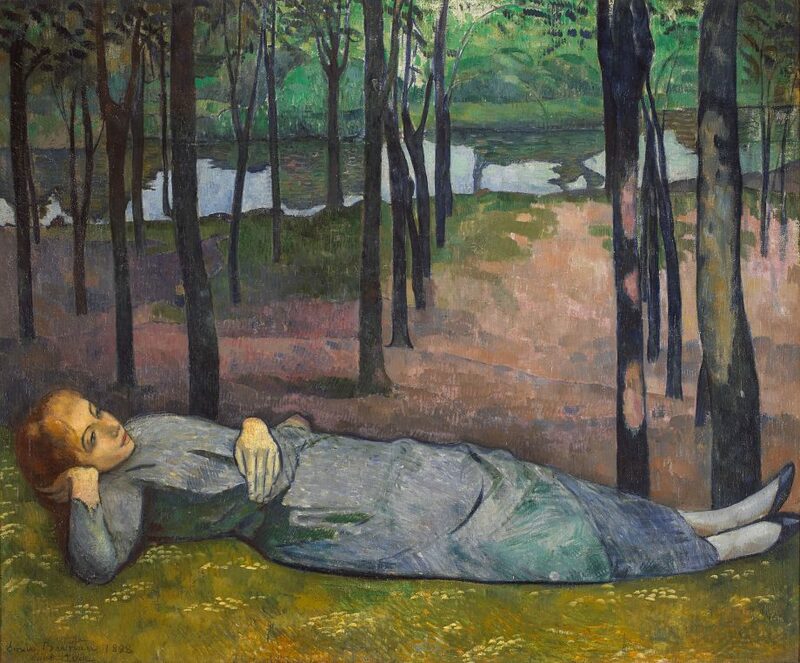 It is an enchanting show of sixty paintings (with many coming from Orsay and Pont Aven) designed by Loretta Gaïtis. To get to these rooms, I had to walk through amazing Vuillard and Bonnard paintings and I was reminded of the treasures contained in the museum which one often oversees while visiting a specific show. And the ambiance created by young foreign tourists is fun. (Until June 2, Musée d’Orsay. Book your tickets on internet and walk in through the door on the right without queuing). An exhibition of “Nabis and Decor” starts at Musée du Luxembourg on March 12.